Twenty five construction contractors have been awarded places on a £4bn London construction framework led by Haringey Council on behalf of all 33 London boroughs. 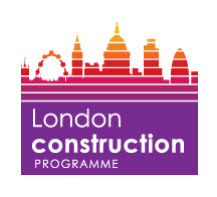 The London Construction Programme Major Projects Framework aims to develop a pan-London strategy to improve construction procurement through framework agreements, contracts and category management support to deliver construction projects more efficiently and more effectively. The programme aims to cut the cost and risk associated with localised procurement, achieving better value for money outcomes from construction projects through collaboration. The types of projects included in the framework include new build housing, planned maintenance, refurbishments, regenerations, structural works, extensions and mixed use developments within commercial, education, environmental and housing. The framework is split into three lots of different values: £100k-£1m, £1m-£5m and £5m plus. Mace, Wates, Higgins, Geoffrey Osborne, Lakehouse, Kier, Willmott Dixon and Keepmoat have all won places on the framework. The framework is expected to deliver £1bn worth of construction work each year until 2019.